Tay Ninh - A day-trip from Ho Chi Minh City, Tay Ninh is the home of Cao Dai, Vietnam's fascinating indigenous religion. I've spent quite a lot of time in Tay Ninh, and it really is a fascinating place. As well as being the Holy City of Cao Dai, it is right near Nui Ba Den, a mystical holy mountain that locals believe is home to a Goddess. 2. Quy Nhon - Purely by chance I made many friends in Quy Nhon when I was a young man, and now I visit it every time I go to Vietnam. It is a beautiful coastal city in South-Central Vietnam, quiet, clean and cool, and in many ways it is the powerhouse of Vietnamese Buddhism. It is home to many ancient Buddhist temples, and also was the site of the even more ancient Kingdom of Champa, the rulers of which were Hindu. Hence the presence of many antique Hindu temples in the surrounding hills. 3. 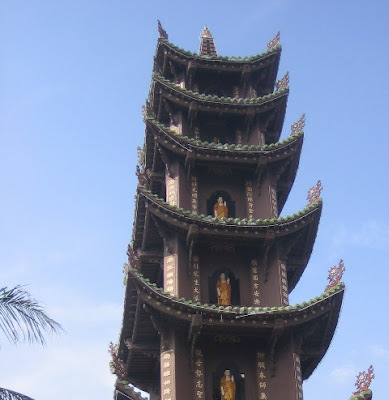 Vinh Long - The great Southern Vietnamese religious leader Minh Dang Quang established his Buddhist sect in Vinh Long, and it is still home to many great Buddhist temples important to his sect, including the original temple he established. 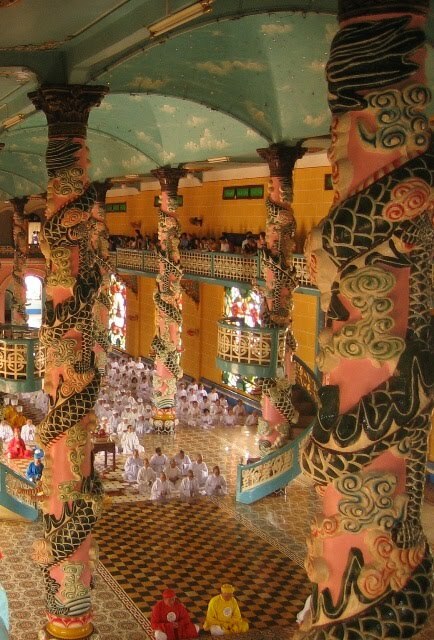 It is also just a beautiful little Mekong Delta town which possesses its own Temple of Literature. 4. Dong Ha - The capital of Quang Tri province, the poorest in all Vietnam, I was expecting Dong Ha to be a horrible place but it turns out to be an enchanting little city in Central Vietnam about two or three hours from Hue. It is peppered with groovy little cafes and the people are extraordinarily beautiful, though they speak an incomprehensible dialect which even most Vietnamese find difficult to understand. Take a boat from the centre of town down the river (can someone tell me what it's called?) and visit one of the many picturesque villages that dot the river's banks. It is also close to the old DMZ and the holy Catholic Shrine of La Vang, dedicated to the Virgin Mary. 5. Mui Ne - The real success story of Vietnamese tourism, Mui Ne is the beachside destination of choice for the wealthy elites of Ho Chi Minh City. Until just a few years ago a sleepy fishing village, Mui Ne now has a decidedly international feel, and the beachside hotels, resorts and guesthouses are a cut above the usual Vietnamese offerings. In Destination Saigon I write about my riotous nights there in the company of a gang of fishermen, and Mui Ne really is becoming a kind of "fun central" for Vietnam, with great bars and restaurants. Of course, some don't like it precisely because of its "international" vibe, but I figure what the hell, mix things up a little. Close to Phan Thiet and the Big Buddha Mountain. 6. Ben Tre - This is the hometown of my beloved partner, and in many ways it is the quintessence of the Mekong Delta. Famous for bananas and coconuts, it is remarkable how many of the people you meet in Saigon actually hail from Ben Tre. It was the home of the famous Coconut Monk, who attempted to unify Buddhism with Christianity. It was hard hit during the Vietnam War, being the place that the American army famously declared they had to destroy in order to save. 7. 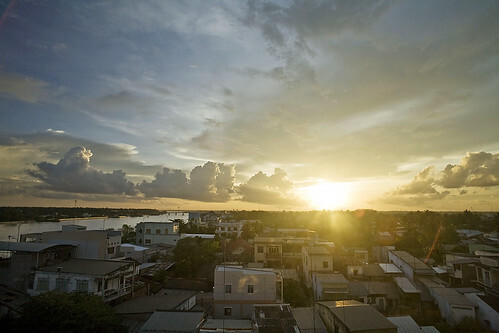 Can Tho - Being the third-largest city in Vietnam, Can Tho is one of those places that comes as a surprise to tourists. Way down in the Delta (and the boat trip from Saigon to Can Tho is one of the things I recommend EVERYONE should do), it is steamy and beautifully situated along the river. 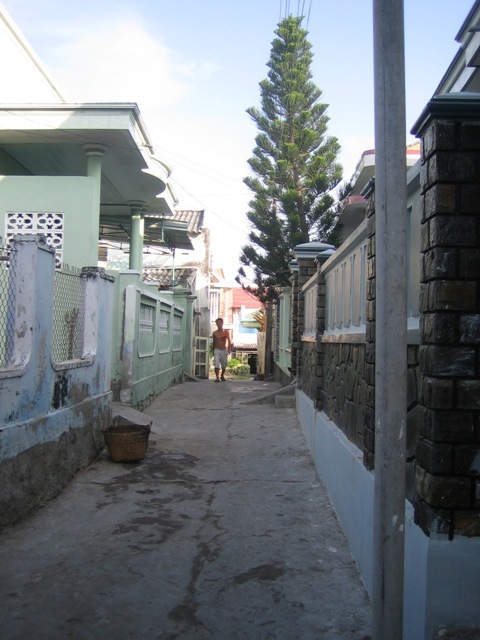 Wealthy and open-hearted, it has the reputation of being something of a sin city - it has a thriving gay community, and the women of Can Tho are notorious for their forwardness. Can Tho is known as the city that saved the ao dai, the beautiful, elegant and surprisingly provocative national costume of Vietnam. It has a big university and a big bridge, for those who are into such things. 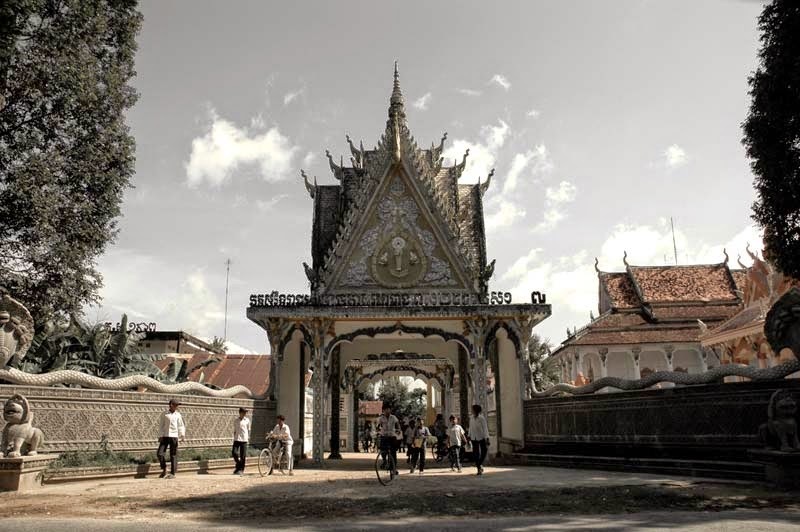 There is also a large community of Khmer people, and there is an old Khmer temple in the heart of town. 8. Nha Trang - Until Mui Ne eclipsed it, Nha Trang was the great hope of Vietnamese tourism. It probably suffered by being championed in a more rigidly controlled age, when the central government was trying to keep a tight rein on tourism and the army was responsible for constructing hotels and restaurants. This gives Nha Trang still a very 1980s Communist feel, especially along the beach front. That said, it is a wonderful city, with great food, great nightlife and a very nice beach. I've always enjoyed myself whenever I've visited Nha Trang - it is considerably cleaner and better kept than most Vietnamese cities. 9. Tra Vinh - When I was studying Vietnamese at the Ho Chi Minh Social Sciences University back in the late 90s I really became interested in the Khmer culture and people that make up a big minority in southern Vietnam. I would visit the Khmer Buddhist temples in Ho Chi Minh City almost daily, and I met and made friends with many of the monks there. A number of them hailed from Tra Vinh, a place I'd never even heard of before. Eventually they took me there and I discovered one of the most fascinating parts of Vietnam. In Tra Vinh the Khmer population is quite dominant, and you hear Khmer spoken on the streets and broadcast on the radio and TV. Theravadin Buddhist temples are the norm, and the rich and ancient Khmer culture is said to be lived there more authentically than in Cambodia itself, for obvious historical reasons. So there you have it - my nine favourite towns in Vietnam! If you have any more you'd like listed, please comment and tell us about it! I am teaching a one-day version of my Vietnam: 4 Cities Course at the Sydney WEA in May 2017. You can enrol here - would love to see you there. Thank you for sharing your insights of my birthplace. I'm excited to return this December for my third time in 35 years! Bon voyage Ted - I know you will have a fabulous time and what a homecoming it will be. Let me know if you have any pics or stories of your trip you would like to share on my blog. Nice Post and nice photos Vietnam is indeed one of the most beautiful Asian countries in the world. Could the river out of Dong Ha to the sea be the Co Viet? My friend was stationed there during the war and travelled it daily! This is well written, informative and a good read. But you only mention cities and towns in the south. have you been north of Hue? Indeed I have, Daniel, many times - but these places remain, for me at least, my favourites.